The team has been tirelessly working to improve the platform. This new VBProfiles.com evolution is a major step towards our vision of being the ultimate market intelligence platform for curious minds, strategists, experts, and market researchers. We have plenty of ideas on how to drive the site forward and are very excited to get your take on where we are heading. And here’s how we responded to your recommendations. On top of the existing Daily Hub, which features all the must-read industry related news delivered straight to your email, we have introduced the Monthly Briefing and the Quarterly Intelligence Report. The Monthly Briefing summarizes the emerging trends, the new and upcoming companies, latest product innovations and Funding & Acquisition related information. The Quarterly Intelligence Report provides deep strategic insights on your market. Ability to create your own reports and conduct your research by downloading the data: you can now export all the people and company data from our platform to run your own research. Use cases include: building up your sales list, identifying investors and board members for your company, building your own market performance insights, etc. - Clone our markets: You can now take one of our markets and make it yours. This allows you to remove the companies or topics you are not interested in, and add the ones that make sense to you. You can then track these lists and generate your own market summaries. - Generate Your Own Market Summaries: Say you want to know about a list of investors by the companies that they have invested in. You can now create a list with all these companies, generate a market summary and get all the important information about the people, investors, partners, and customers that are associated with the companies that you’ve selected, which saves you hours of research. - Create your own landscapes: You can now create multiple public and/or private lists, and combine them into one list (i.e., “a list of lists”) to build out your own custom landscape. So now let’s look at how you can combine these powerful new features. Say you want to track the entire BigData industry. Go toVBprofiles.com and identify all the BigData lists we have. Create “a list of lists” with all these Big Data lists. You are now able to download all the Big Data Companies, People and VCs. You will also receive all the must-read articles for your new list through our Daily Hub, as well as the Monthly Briefing, which will provide all the new entrants, funding, trends, and product innovations. On a quarterly basis, you will also receive our Quarterly Insight Report, showing your market’s deep drivers. Deeper reports and summaries: On top of the existing Daily Hub, which features all the must-read industry related news delivered straight to your email, we have introduced the Monthly Briefing and the Quarterly Intelligence Report. The Monthly Briefing summarizes the emerging trends, the new and upcoming companies, latest product innovations and Funding & Acquisition related information.The Quarterly Intelligence Report provides deep strategic insights on your market. 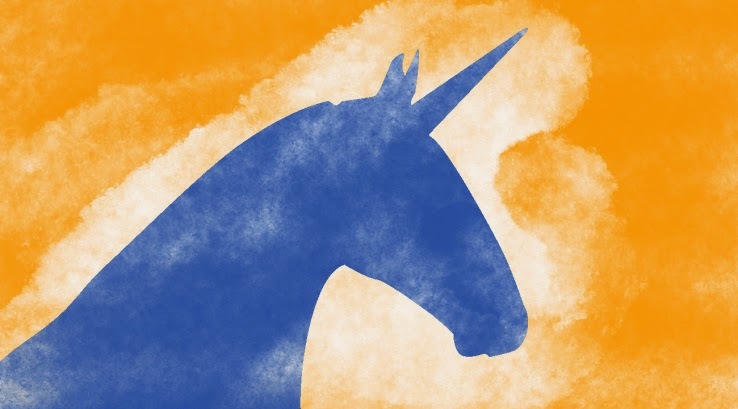 After an article released by John Koetsier on Unicorns, we received questions from Robin Wauters about the validity of our number of Unicorns for Europe. He introduced two different lists from Atomico and then from GP BullHound. The Atomico list identifies software companies that got valued more than US$ 1 Billion either as a Unicorn, while being public or through an acquisition. the term software companies is taken at large as it includes companies such as Prosper or YouTube, which are not technically software companies, but technology enabled services. And Atomico's list doesn't include Unicorns like Fitbit which is a hardware company. 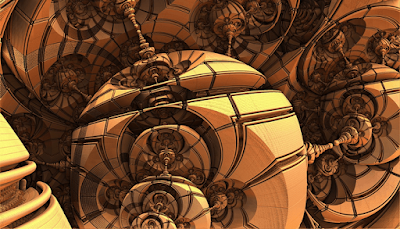 · 6 companies for which we could not find evidence the company reached a Unicorn status. Regarding the VBProfiles 206 Unicorn list, while comparing our list with our Atomico's, we identified 14 new unicorns (8 from Asia, 6 from the USA, 1 from Finland (Europe)) and we are adding those to our Unicorn landscape. 1 other Unicorn in the Atomico list (Anaplan) was not part of the 206 Unicorns as of 12/2015 because the company announced their funding in January 2016. GP BullHound list relates to 13 European companies valued more than US$ 1 Billion in 2015. Again Anaplan announced their funding in 1/2016 so were not part of our study. We could not confirm Ve status as a Unicorn and Skrill was acquired for US$ 1.2 Billion but was not valued US$ 1 Billion privately so is not technically a Unicorn. Through the GP Bullhound study, we identified 3 companies that we categorized as US companies when they were originally from Europe. We are going to scrub all our addresses to make sure that the companies are associated to the countries they are originally from, not with the country of their current headquarters. We are going to report back to John and Robin about our findings moving forward but, at this point and based on this initial work, we are not expecting major changes in the study for the number of Unicorns coming from Europe. I will keep updating the blog as new information is available. Finally!!! The new UI is live. After 18 months and the gathering of thousands of useful feedback, we are getting even closer to our vision of providing a platform through which people can effortlessly access information about the markets they care about. With this new version, we had two overarching goals: to make the information more accessible and readable, and to make our existing use cases more apparent while building a solid foundation for growth. We are anxious to hear what you think — have we achieved significant progress on all fronts? Of course, our platform is still fairly young and we have many more iterations to make, but the overall look and feel will essentially stay the same. The overwhelming feedback we got on the prior site was that, while the information was readily available, the insights were too difficult to reach. Our business users want to access insights quickly and with their existing apps. In this context, we completely rebuilt our search result page. Instead of showing data based only on the relevance of a keyword, we now show the most important results for each specific category of information: markets, company, people, or topic. Markets are now front and center, as this is the category people most want to see. From the search page, you can refine your search by clicking on “view all” and navigate through this content or, leverage the advanced search section. We have also completely rebuilt our daily newsletter so that information is more readable. Our users will also get access (recommendations) to companies or markets they should be tracking based on what they are already tracking in their emails. The second use case is Research: our platform is being used for a lot of different research needs from identifying potential candidates for a position to fill, to tracking more granular markets for sales and marketing purposes, to finding the most successful angel investors or venture capitalists for fund raising purposes. For all those needs, the pages accessed when hitting “view all” are the pages that people will use to browse through the content and identify news, companies, or people based on specific criteria. Lastly, we now have consultants and companies organizing their ecosystems on the Spoke Intelligence Network, tracking entire industries without the traditionally insurmountable clutter and effectively discovering new players and innovations for the innovation they care about. With this new platform, the opportunities to develop the platform and derive value are almost endless. Adding browsing criteria to search through information, building mini apps so people can access the information based on the use case they need, accessing deeper insights more quickly, and adding more data sources for each specific market will be our main goals moving forward, so stay tuned as we develop the platform moving forward. The new Digital age is leaving no function in the Enterprise immune to change. In particular, the past 5 years have witnessed a profound transformation of the world of Business to Business sales. Buyers have taken upon themselves to research the products, solutions and services they need or might want to consider. They do it on their terms, using the internet as their primary source of information. Gone are the days when sales representatives would be called or invited to “educate buyers”. The Corporate Executive Board found 57% of the Enterprise Buyer's Journey takes before vendors get formally engaged. In response to this trend, Businesses have massively invested in building and sharing content. According to the Content Marketing Institute, marketers are spending 28% of their marketing budget on content marketing. This content is offered to help buyers and potential buyers in the early stages of their exploration. The quality of the content created has become a mean for businesses to build preference. But the widespread availability of great and valuable content on the internet can also disintermediate brands. So, the understanding of the information consumed by prospects is an essential proxy of their interest. It is further exacerbated by the Social Transformation. Indeed, Social Networks and communities of interest have become places where people share experiences, get feedback on products through peer reviews, and look for information. Corporations used to have a few Buying Centers where decisions were centralized in the hands of a few, easy to find, roles. Nowadays, a growing number of purchases are made at all levels and functions in the Enterprise. This trend is exemplified by Gartner prediction from a few years ago that, by 2017, Marketing organizations would spend more on technology than their peer IT groups. Even large purchases made centrally now involve a much larger number of decision makers. Captera found that 2/3 software purchases involve 3 or more people. Finding potential buyers and other decision stakeholders has become a daunting task for sales organizations. Furthermore, the sheer volume increase of leads and potential contacts to handle has become overwhelming. So, they need to turn to the Internet to get the best possible insights on organizations and buyers. Sales organizations have started to transform themselves to respond to these trends and become more effective. They increasingly leverage new communication tools to shift their engagements with prospects and buyers away from in person meetings to the phone, emails, online meetings or other forms of remote interaction. Marc Benioff, the founder of salesforce.com, coined the term of Inside Sales for sales done remotely. He keeps on reminding us that he only used Inside Sales during the first 6 years of his company. This trend compounds with the imperative for sales organizations to become more productive as pointed by Bain. Business Development to proactively identify potential buyers and reach out to them. use analytics along the way to drive and, in hindsight, improve the entire selling process. Making sense of a new market? I lived through this transition as an Executive of the Enterprise Software industry. Since I became an Advisor to technology companies, I often get involved in the implementation of Inside Sales roles and processes. It has given me a unique appreciation of how critical technology can be, but also, how confusing this space can be to its practitioners. Yet, I found it has a lot of similarities with Customer Engagement, a domain that I know very well. So, with the help of Spoke and VBProfiles, I have embarked on a mapping of this new Inside Sales technology landscape. In my next post, I will share existing market categorizations and why I thought I should create one. Stay tuned and, in the meantime, share your thoughts!